A 1948 Ferrari 166 Spyder Corsa and a 1965 Dino Berlinetta Speciale are the leading car for the Artcurial Rétromobile week classic car auction in Paris 2017. The auction will feature around 150 cars with the usual wide range of interesting and rare, if not necessarily particularly valuable, cars that make Artcurial’s Paris sale one of the most keenly watched by classic car enthusiasts. Around 10 percent of the cars on offer has the potential to sell for more than a million dollar. Artcurial is the official auctioneer of the Paris Rétromobile week and will hold its auction on 10 February 2017. Around 150 cars are on offer – many without reserve margins. Artcurial had spectacular successes at the previous two Rétromobile Paris auctions. 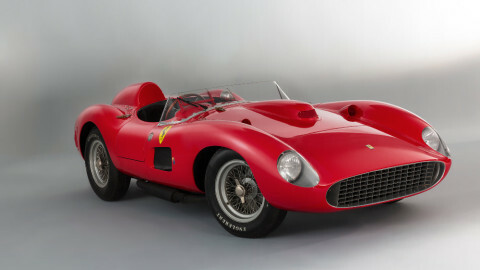 In 2016, Artcurial sold a 1957 Ferrari 315 / 335 S for €32,075,200 ($35,711,359) – the highest price ever paid for a car at public auction in euro terms. In US dollar terms, the 1962/63 Ferrari 250 GTO sold by Bonhams at Quail Lodge 2015 for $38 million is still the most-expensive car ever. 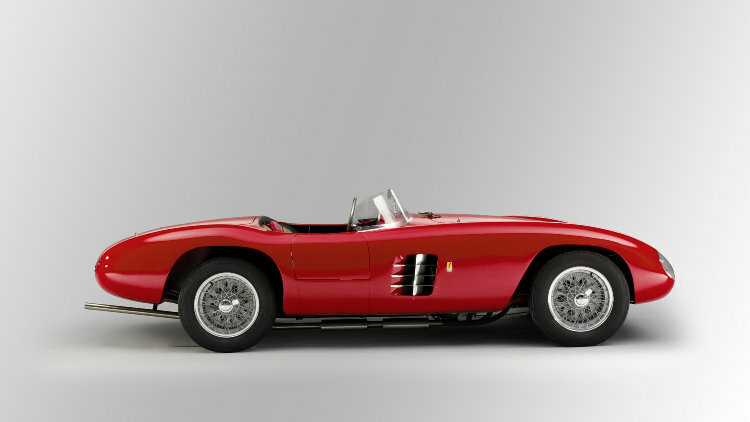 In 2015, Artcurial sold the garage-find Baillon collection that included a 1961 Ferrari 250 GT California Spider for $18.5 million – still a model record. The 1948 Ferrari 166 Spyder Corsa by Scaglietti is the only car offered by Artcurial at Paris 2017 without an estimate. It will sell, as there is no reserve either. 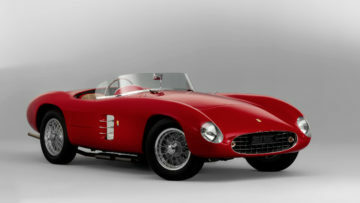 This 1948 Ferrari 166 Spyder Corsa is an important car from Ferraris early history as carmaker. It was one of the first cars Ferrari built for a customer and modified the chassis on demand of its first owner and driver, Giampiero Bianchetti. The car was extensively raced up to 1952 and had many good placings but no victories. Following a complete restoration, the Ferrari 166 SC won Best of Show in the Zurich Concours d’Elégance in August 2016. Although a racing car, it is street legal. The 1965 Dino Berlinetta Speciale by Pininfarina is a unique vehicle and enters the auction with a wide estimate (€4,000,000 – €8,000,000) and no reserve. The 1965 Dino Berlinetta Speciale by Pininfarina was the first mid-engined Ferrari GT and aided the development of the Ferrari cars that would follow. The car has been on static display in the Automobile du Mans Museum since 1967. The engine is without internal moving parts making the car only suitable for further static display in future. €8 million may be a bit much for an undrivable prototype Ferrari, even one as good looking and special as this one. The 1960 Ferrari 250 GT Cabriolet Pinin Farina, estimate €1,300,000-€1,600,000 is the only other Ferrari on offer at Artcurial Paris 2017 expected to sell for over a million dollar. This car was the 93rd of 200 produced and is in a restored condition. The penultimate car produced is unrestored and expected to fetch considerably less at the RM Sotheby’s Paris 2017 sale. The 1972 Lamborghini Miura SV, estimate €2,200,000-€2,600,000, is the most expensive of the range of Lamborghinis on offer at Artcurial Paris 2017. It is one of only two dry sump / air conditioned Miura SVs sold in Europe. An earlier 1968 Lamborghini Miura P400 is expected to sell for half that with an estimate of €800,000-€1,000,000. 1969 Lamborghini Espada P 400 GT – estimate €240,000 – €280,000. 1936 Delahaye 135 châssis court compétition cabriolet Figoni & Falaschi (estimate €1,200,000- €1,800,000) – one of six coupés produced by Figoni et Falaschi in 1936 on the short chassis 135 Competition. The car has a known history from new. 1939 Delahaye 135 MS Cabriolet by Figoni & Falaschi (estimate €1,200,000-€1,600,000) – still has its original engine, body and chassis. The car was shown at Pebble Beach in 2016. 1950 Delahaye 148 L coachwork by Saoutchik (estimate €700,000-€1,000,000) was the Salon de Paris 1950 car for the Saoutchik Carrosserie stand. The well-maintained car had only two owners from new. The 1936 Talbot Lago T150C, chassis 82930, estimate €1,200,000-€1,600,000, is an important French racing car from the 1930s. This particular Talbot Lago participated in the Le Mans 24 Hours race four times driven by amongst others Chiron, Chinetti and Levegh. It actively raced from 1936 to 1939 and again from 1946 to 1950. It has changed owners around 25 times since new. 1961 Mercedes-Benz 300 SL roadster, estimate €900,000-€1,100,000, is a well-maintained example in its original color scheme with only three previous owners. The 1935 Bugatti Type 57 Atalante découvrable, estimate €1,000,000-€1,500,000, was the first Atalante presented at the Paris Motor Show in 1935. It is one of only eight made with a fold-down roof and the only one to have survived with its original chassis. The 1934 Bugatti Type 57 coach Pre-Série Gangloff, estimate €430,000-€530,000, is one of three Gangloff coupés built in 1934 on the 57 chassis. It is a matching numbers example with a known ownership history from new. 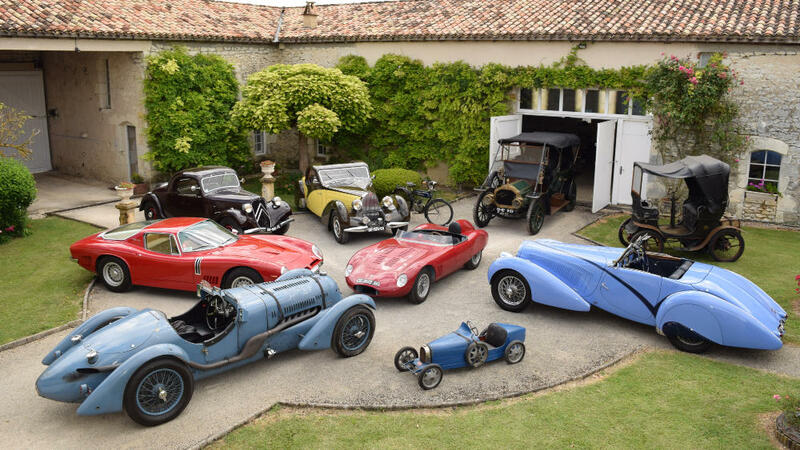 The more affordable route to Bugatti ownership could be through the 1930 Bugatti Baby, estimate €30,000-€50,000. This electric children’s car is a 1:2 scale model of the Type 35 Grand Prix racer. A 1925 Bugatti Type 35 Grand Prix (and another Bugatti Baby) is on offer at Gooding Scottsdale 2017 – estimate $2,600,000-$3,200,000. The auction Bugatti of the year is more likely to be the 1937 Bugatti Type 57S Cabriolet that RM Sotheby’s announced for Amelia Island in March 2017. First expectations mentioned were above $8.5 million. The 1987 Porsche 959 Komfort, estimate €950,000-€1,200,000, is a well-maintained car that was driven around 26,000 km by two previous owners. It has no other special features and should sell within estimate. RM Sotheby’s will sell a rarer Sport and expect about double the result for a Komfort. A cheaper Porsche will be the 1961 Porsche Diesel Super Export 329 tractor, estimate €20,000-€30,000, although some of the more common 911s may also be available at this money.